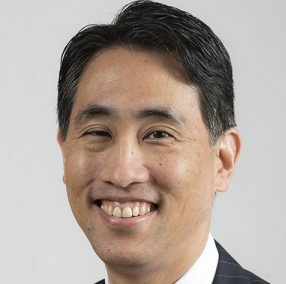 Scott T. Tagawa, MD, MS is the Richard A. Stratton Associate Professor in Hematology and Oncology, an Associate Professor of Clinical Medicine & Urology at Weill Cornell Medicine, and an Associate Attending Physician at NewYork-Presbyterian – Weill Cornell Medical Center. After earning his BS from Georgetown University, Dr. Tagawa received his MD at the University of Southern California School of Medicine. After completing his Internship and Residency training there, he became Chief Resident and subsequently underwent fellowship training in Hematology and Medical Oncology, being appointed Chief Fellow for his final two years. 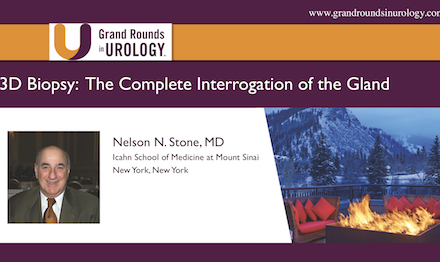 He had the opportunity to train with international leaders in Genitourinary (GU) Oncology. In August 2005, he was appointed Assistant Professor of Medicine at Mount Sinai School of Medicine, serving as Associate Program Director for the Fellowship Training Program. As Director of Genitourinary Oncology for the Division of Hematology and Oncology and Director of Medical Oncology for the Deane Prostate Health and Research Center, Dr. Tagawa took the lead in developing genitourinary clinical trials. He was recruited to Weill Cornell Medical College in 2007. His research covers clinical and translational investigations in genitourinary tumors and thrombosis in malignancy. As the Medical Director of the Genitourinary Oncology Research Program, Dr. Tagawa leads clinical trials in the areas of prostate, kidney, and bladder cancer as well as the prevention and treatment of thrombosis with cancer. He specializes in drug development and theranostics in prostate cancer. Dr. Tagawa also serves as Associate Director of Clinical Research for the Division of Hematology and Medical Oncology, Medical Director of the Cancer Clinical Trials Office of the Meyer Cancer Center, and Chair of the Clinical Study Evaluation (scientific review) Committee for cancer. He was promoted to Associate Professor of Clinical Medicine and Urology in 2013. Dr. Tagawa is the WCMC principal investigator for the Alliance for Clinical Trials in Oncology (formerly CALGB), serving on the Board of Directors and as a funded member of the Genitourinary Committee. He is a member of the Clinical Practice Guidelines Committee of the American Society of Clinical Oncology (ASCO). Additionally, he serves on the editorial boards of many journals, is a member of numerous national and international medical and scientific societies, and has been named on multiple “top doctor” award lists. How Should We Monitor Patients During Surveillance?